Why didn't we know these before?! Swipe a coat over those numbers so they don't fade over time from your greasy fingers whenever you eat while watching TV. This is one of the best ways to secure an envelope. No amount of steam could make it budge. You can also waterproof address labels with nail polish. Dabbing nail polish on the cut-end of thread saves you time and effort when pulling it through a needle. You can permanently stop runs and prolong the life of your stockings by simply applying polish to the end of the run and letting it dry. Applying a thin layer of polish to the buttons on your shirt prevents the thread from coming loose. A thin film of clear polish will keep your jewelry looking bright and glossy. 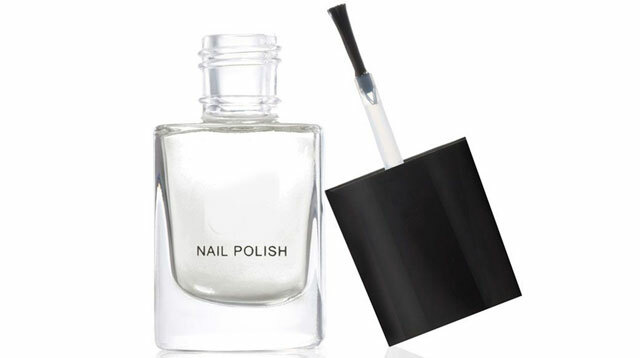 Nail polish is a simple sealant or varnish for small objects, plus, it can act as glue! Paint over splinter-prone areas of your hangers to prevent injuring your fingers and snagging your clothes. Coat clear nail polish over your newly shined belt buckles to prevent the metal from becoming cloudy. Keep the fabric from falling apart with a swipe of polish. Diminish the damage on your shoes by painting clear nail polish over the toes and on the outside of the back seam. Rub it a little to lessen the shine, making it less noticeable. Simply coat the bottom of metal cans (shaving cream, deodorant, hairspray, etc.) to prevent them from rusting and leaving those pesky red stains behind. It's not just for hangers! Coat splintered furniture with polish to smoothen them out. You can mend small holes on your window screens using nail polish. 15. Fix torn-out pages of a book. Use nail polish to paste back ripped pages of a book, instead of using tape. Keep loose screws in place by brushing polish on the screw threads. Cover the tips of your shoe laces, ropes, and ribbons with nail polish to prevent the tips from fraying. Cover up the chipped glass surface with nail polish to make it smoother, preventing unwanted cuts and other accidents. Draw on yourself using nail polish before getting a tan and remove the polish when you're done. Viola, a sun tattoo!